Since the dawn of the allopathic takeover of the healing professions, we have been programmed from birth to look for a pill or a shot when we have a physical complaint or problem. And then the PR (propaganda) accelerated to the point where we were taught to take pills and shots to prevent physical problems….and, in many cases our children were not allowed into school unless they had received certain pills or shots and now adults are more frequently not being allowed to work certain jobs if they do not take certain pills and/or shots. One of the pills we were taught was necessary to prevent certain cardiac conditions is aspirin….simple aspirin….and in very low doses, I might add. Well, after decades of blindly obeying this medical directive of taking one aspirin a day, we learn that it was Hippocrates that was right, not the hypocrites. What would we expect Hippocrates (“the father of medicine”) to say? Well, the same thing as the old adage, “an apple a day, keeps the doctor away”. The following is the article from Clearvue Data that prompted this response above. We wanted to share this news with you so you can share it with everyone you know and care about. Switch out your aspirin for apples! Aspirin has been prescribed for years to prevent heart attacks. 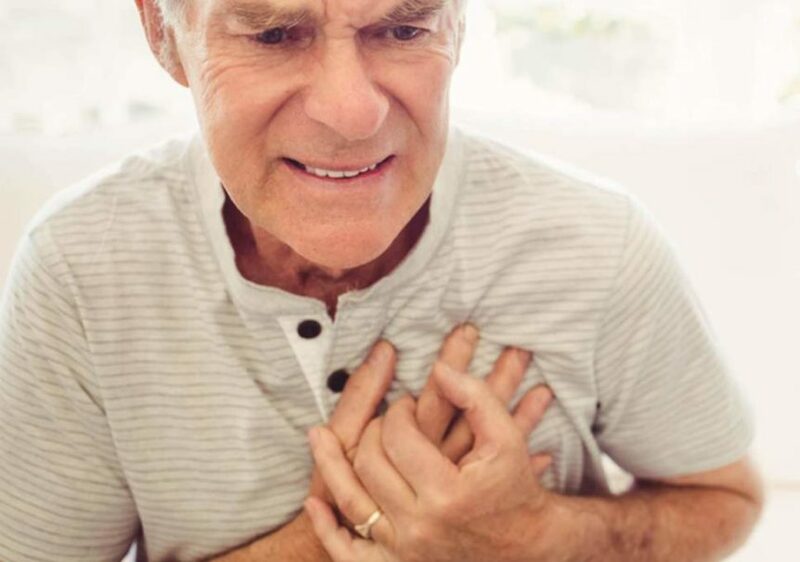 Heart attacks are caused by blood clots that block arteries narrowed by plaque buildup. Meanwhile, Aspirin reduces your blood’s ability to clot. Theoretically, scientists thought that this should reduce your chances of getting a heart attack, which is why doctors have prescribed aspirin for decades as a preventative measure. However, the question of whether this actually saved lives was not fully studied, until now. In the largest study of its kind, 19,114 patients were randomly selected to take either aspirin or placebo, essentially a sugar pill, so that scientists could determine whether aspirin increases your lifespan. As expected, patients on aspirin had a lower risk of dying from cardiovascular disease, including heart attacks and strokes. However, this difference was surprisingly small. Scientifically, we would say that this is an insignificant difference because we can’t rule out the possibility that this was caused by chance alone. Surprisingly, patients who took aspirin actually had a higher risk of dying over the 6 years of the study. 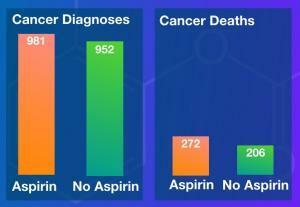 This, of course, is surprising and concerning since doctors prescribe aspirin to save lives, not to kill patients. The difference was not huge, but enough to suggest that this was probably not due to random chance or statistical error, the patients who took aspirin in this study most likely had higher odds of dying than patients who took sugar pills. This then begs the question, what is causing patients on aspirin to die more often? This was a highly unexpected result; no previous study had ever found significant evidence of aspirin causing higher mortality. When researchers looked deeper into this, they found that this was driven by a very significant increase in cancer deaths. This was a highly unexpected result; no previous study had ever found significant evidence of aspirin causing higher mortality. Therefore, we still are not sure why patients on aspirin had a higher risk of cancer death. 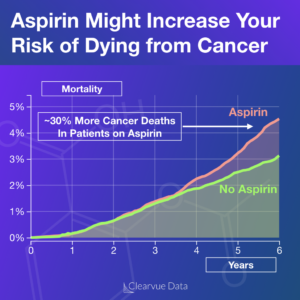 When scientists examined the risk of getting cancer in both groups, they found that the odds were only slightly increased in the aspirin group, likely not enough to account for the increase in cancer deaths. 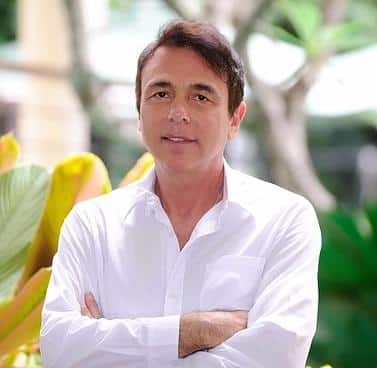 If your doctor put you on aspirin for a specific reason, for example, a previous heart attack or stroke, listen to your doctor, keep taking it, this research was only in healthy individuals and there is plenty of research showing the benefits of aspirin for those who need it. The finding of increased cancer deaths in patients taking aspirin, combined with the finding that aspirin clearly doesn’t prevent deaths in healthy individuals, suggests that if you’re healthy, and taking aspirin just to prevent a heart attack, talk to your doctor about whether you should stop taking aspirin for prevention. Visit here for an article in The New England Journal of Medicine talking about how an aspirin a day does not save lives.